Charlotte has been nominated for Best Supporting Actress in this year’s National Film Awards 2019 for the role she played in the movie SCOTT AND SID! 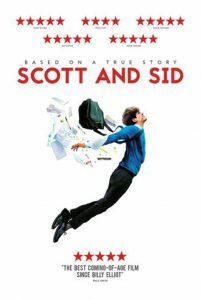 SCOTT AND SID has also been nominated for Best British Film and Best Drama! Check out their IMDb page for more news and red carpet shots from the London premiere! Charlotte most recently appeared in the Royal Mail – Harry Potter Stamps commercial!